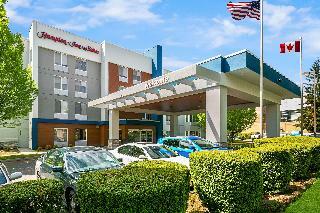 This simple hotel can be found in Seattle-Tacoma International Airport. 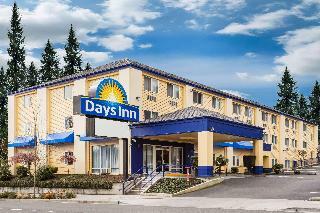 A total of 86 accommodation units are available for guests' convenience at Days Inn by Wyndham Seatac Airport. Both business and leisure travellers will appreciate the property's Internet access. Pets are not permitted on the premises. 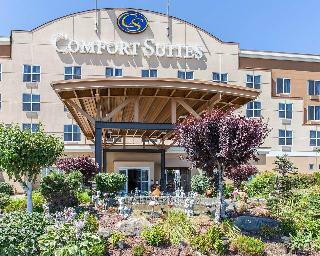 Days Inn by Wyndham Seatac Airport provides parking for guests' convenience. The hotel offers business facilities. 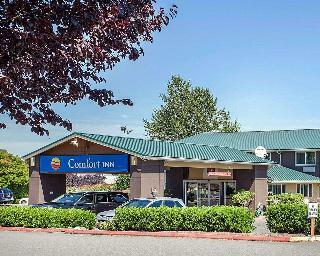 This attractive and comfortable hotel is conveniently situated just a five-minute drive from the Seattle-Tacoma International Airport. Visitors will be able to reach the city centre within a 20-minute drive, and the Space Needle, Seahawk Stadium and waterfront are all just a short drive away. The Museum of Flight is ten minutes from the hotel, while the Future of Flight Aviation Center and Boeing Tour is 60 kilometres away. Guests are welcomed with complimentary newspapers and freshly brewed coffee in the bright and airy lobby, and might take advantage of free Wi-Fi offered throughout the premises. The cosy rooms are spacious and classic with en suite bathrooms, cable television and movies and video games on demand. Each guest room also comes with a data port and free local calls, and business travellers might choose to book a business class room for additional work space. Nearest Bus / Metro Stop - 12.000 Km. 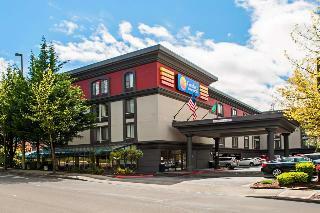 Visit our Travelodge Seattle North of Downtown hotel and enjoy easy access to Green Lake. Located off I-5 just five miles north of the Space Needle, we are within close proximity of Pike Place Market and the University of Washington. See the Space Needle, Pier 66, and Pike Place Market. Catch a Seattle Seahawks or Seattle Mariners game, both nearby. Explore neighborhoods with character like Greenwood-Phinney and Freemont, where grunge bands like Nirvana recorded their first albums. The Woodland Park Zoo is just a mile away, and the Aurora Avenue Merchant Association and University of Washington Medical Center are also nearby. 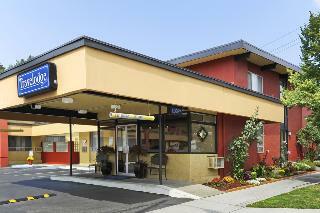 This comfortable hotel is located in North Seattle. This hotel offers a total of 54 accommodation units. Travellers can enjoy access to the internet to stay connected to work or home. No pets are allowed on the premises. Visitors arriving by car may leave their vehicle at the accommodation's parking spaces. 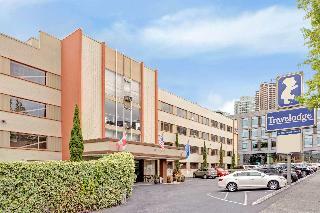 This charming hotel is convenient situated just a short driving distance away from downtown Bellevue. The hotel is within easy driving distance of the vibrant city of Seattle, and offers guests the perfect setting from which to explore the delightful sights and sounds that the area has to offer. Guests will find themselves in close proximity to Redmond, Lake Washington and the Redhook Ale Brewery in Woodinville. This delightful hotel enjoys a contemporary style, welcoming guests into the warm, relaxing environment of the interior. The guest rooms are beautifully appointed, and feature modern amenities for added comfort and convenience. 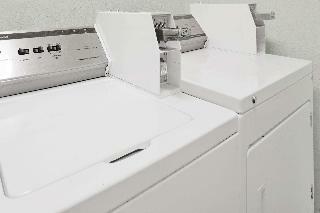 The hotel affords guests a number of excellent facilities. Sitting at just over a kilometre from the Seattle-Tacoma International Airport, this venue is the perfect hub for anyone arriving through it. As soon as one steps outside of the airport doors the non-stop complimentary shuttle service will take him/her directly to the pleasant hotel. There the beautifully decorated, spacious guests rooms await. The standard accommodations include everything needed for a pleasant stay, but if one prefers a little more luxury he can opt for the Whirlpool suites, the two-room suites or conference suites. Business travellers will also appreciate the meeting facilities that can accommodate up to 60 people and are ideal for most events and business gatherings. Down town Seattle can be reached within a 20-minute drive and there are a number of attractions nearby such as The Museum of Flight, Wild Waves and Enchanted Village, Qwest Field and Safeco Field. City centre - 25.910 Km. Bus/Train station - 22.530 Km. Nearest Bus / Metro Stop - 24.140 Km. Golf course - 7.563 Km. Ski slopes - 93.663 Km. Entertainment Area - 27.680 Km. Our Lynwood Hotel's Positioned Near Seattle and Alderwood MallThe Holiday Inn Express Seattle-Lynnwood hotel not only places you within easy driving distance of the vibrant and energetic downtown area of Seattle, but also near the Pacific Northwest's most popular attractions. Our hotel's location in Lynnwood, WA is in close proximity to businesses like Boeing, Microsoft, IBM and AT&T, and there is a 400-square-foot meeting room, so you can host any type of event. Staying in touch with the office is simple thanks to the on-site business center at our hotel's property.Lynnwood is home to Alderwood Mall, which offers a fantastic shopping experience including The American Girl Store. After spending the day searching for a great deal, enjoy a meal at the Old Spaghetti Factory. Be sure to take the time to visit the Space Needle or to tour Future of Flight: Aviation Center and Boeing Tour. 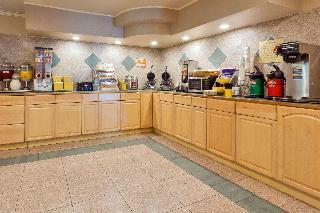 And, of course, you should be sure to make the drive into Seattle to browse through the famous Pike Place Market, which is within easy driving distance of our hotel's location.While in Lynnwood, WA, start your day off the right way with our complimentary, hot Express Start Breakfast Bar. We also offer free high-speed, wireless internet access throughout our facilities, so you can stay connected to family and the office. 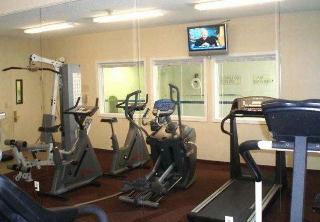 Our hotel's amenities in Lynnwood, Washington include an on-site Fitness Center, a whirlpool and an indoor pool, too. This comfortable hotel is in North Seattle. This establishment offers a total of 56 bedrooms. Guests can enjoy access to the internet to stay connected to work or home. Common areas are suitable for wheelchair-disabled people. This is not a pet-friendly establishment. There is a car park at Days Inn by Wyndham Seattle Aurora. Just over 20km south from Downtown Seattle, the hotel is conveniently positioned to explore the many points of interest the city has to offer. The aquatic centre, golf courses, museums, shopping malls, and the world-famous Seattle Space Needle can all be reached within a short drive. Guests who are crave for an adrenaline packed day should take the 30-minute drive to the Six Flags Theme Park and they surely won't leave disappointed. Business travellers who are looking for a place where to hold their next meeting will have a modern conference centre at their disposal. They will also have the comfort of large work surface and high-speed internet access in the cosy and spacious rooms. City centre - 24.100 Km. Nearest Bus / Metro Stop - 35.500 Km. Golf course - 0.850 Km. Welcome to the Best Western Alderwood! Our Lynnwood hotel located in the heart of the city, is just a short drive to Seattle and there's ample nearby shopping at one of Washington's largest shopping centers, Alderwood Mall and a very short drive to Seattle Premium Outlets. 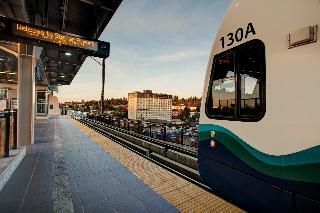 CenturyLinkÂ® Field is also close to our hotel, and we're right next door to the Lynnwood Convention Center. Whether you're here for a trade show, special event, or simply want to get away from it all, our friendly staff will make you feel right at home. Our recently renovated property has everything you'll be looking for. 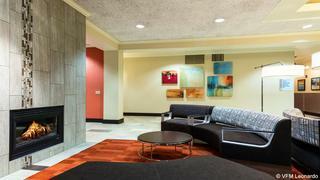 If you want clean, comfortable and spacious accommodations with elevator access, you'll find it at our Lynnwood hotel. Each staff member is dedicated to making your stay as enjoyable as it can be. 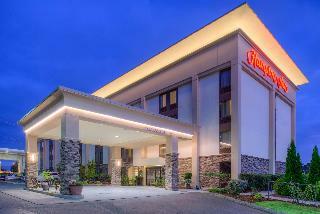 From luxury bedding to quiet well-appointed rooms and Fiber-optic internet access, rest and relaxation is guaranteed. We can accommodate large groups at our Lynnwood hotel, and are just a short drive to downtown Seattle, the Space NeedleÂ® and the famous Pike Place fish market. Boeing tours are a must, and there are numerous activities nearby for the whole family. From dining on seriously fresh seafood to endless shopping, there's no end to the possibilities. You'll have easy access to the city, but be far enough away that you won't have to deal with the hustle and bustle. A number of our Lynnwood hotel guests are traveling here for business with many of the big company headquarters close by. Employees of Microsoft, Siemens Corporation, and Boeing are just a few of the businesses that regularly bring guests to town. The Everett Naval Base is also in the neighborhood, and we welcome service men and women from around the country. Whether you're headed to the nation's first StarbucksÂ® or a business meeting, easy i-5 access makes any commute a breeze. 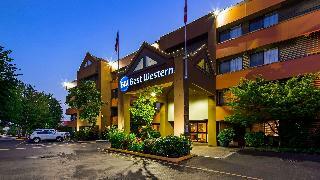 Book your next room at the Best Western Alderwood, where great value and a fantastic location come together! This comfortable hotel is set in North Seattle. The total number of units is 102. Pets are not permitted on the premises.